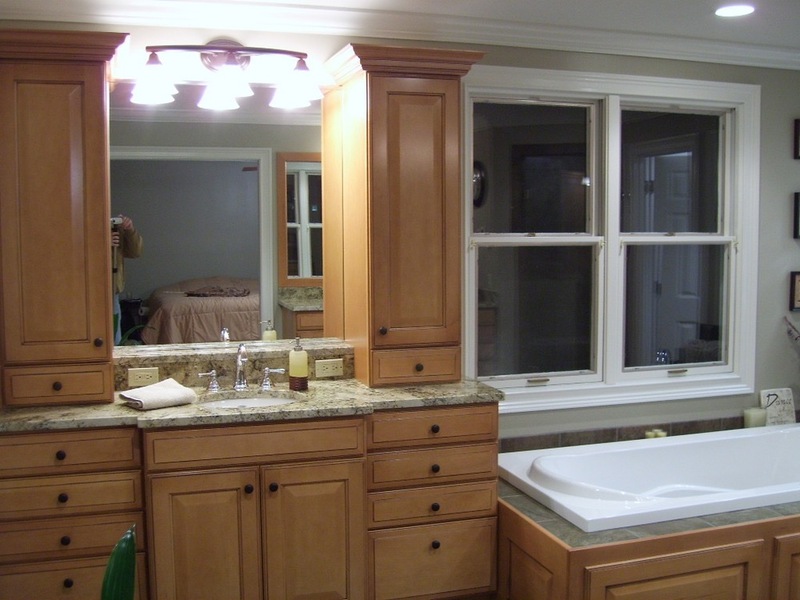 Mentor Master Suite Bath Renovation — R.C. 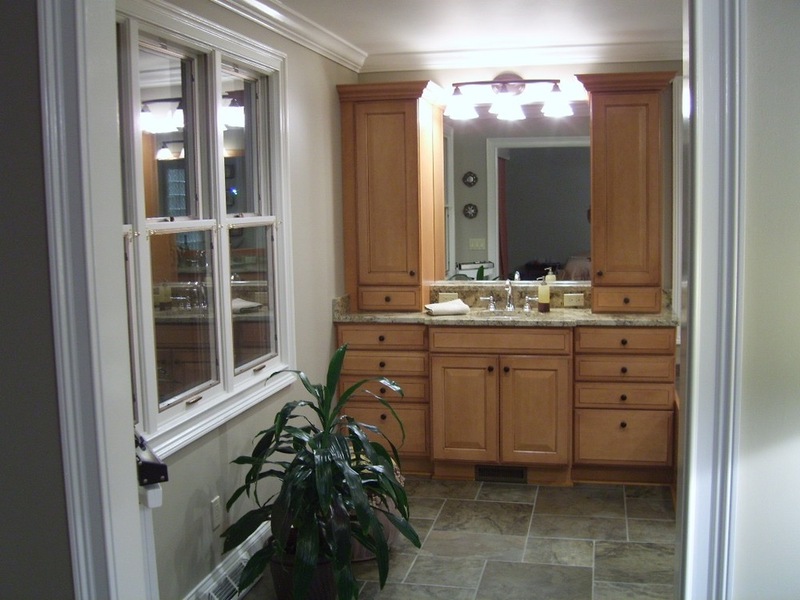 Carpentry, Inc. 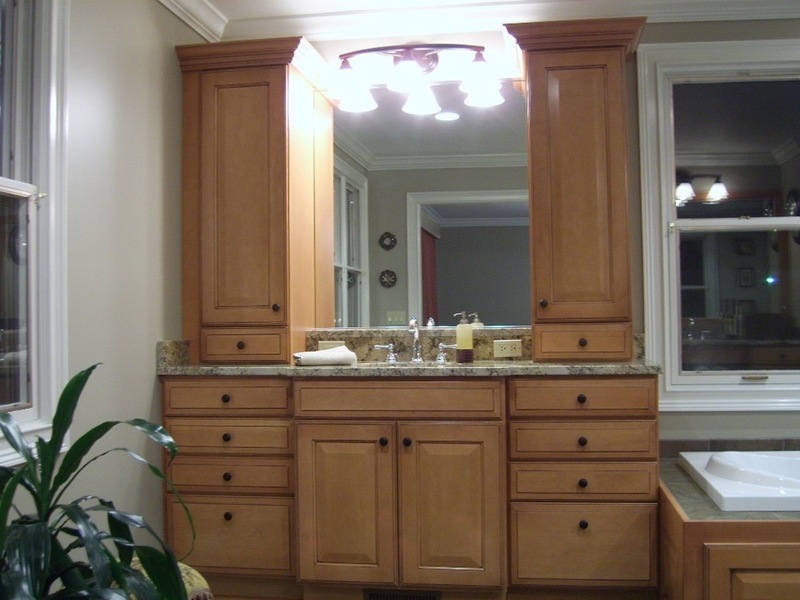 Maple vanities were installed with glazed finishes along with granite countertops and undermount sinks. 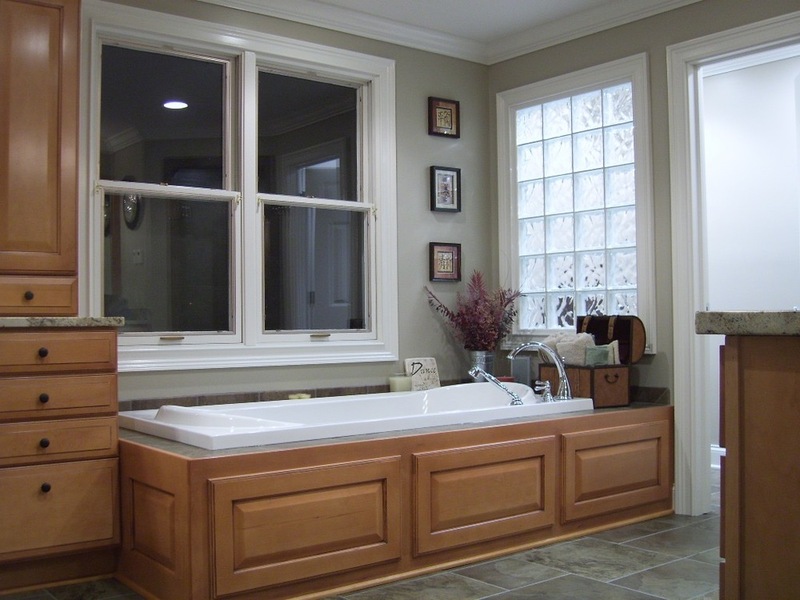 The tub front was also made to match the vanities and feature removable access panels for future service. 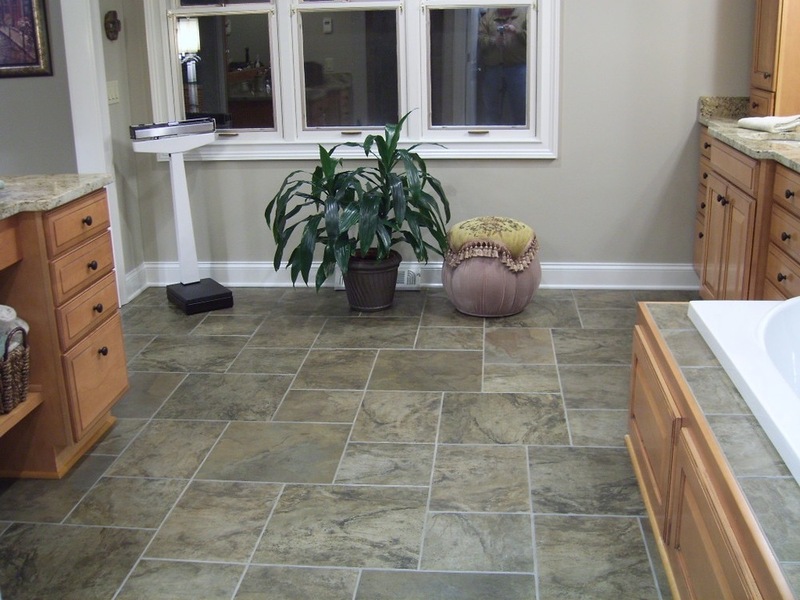 The ceramic tile floor not only adds beauty, but is also a source of heat for the room as well with heating cables installed in the floor. 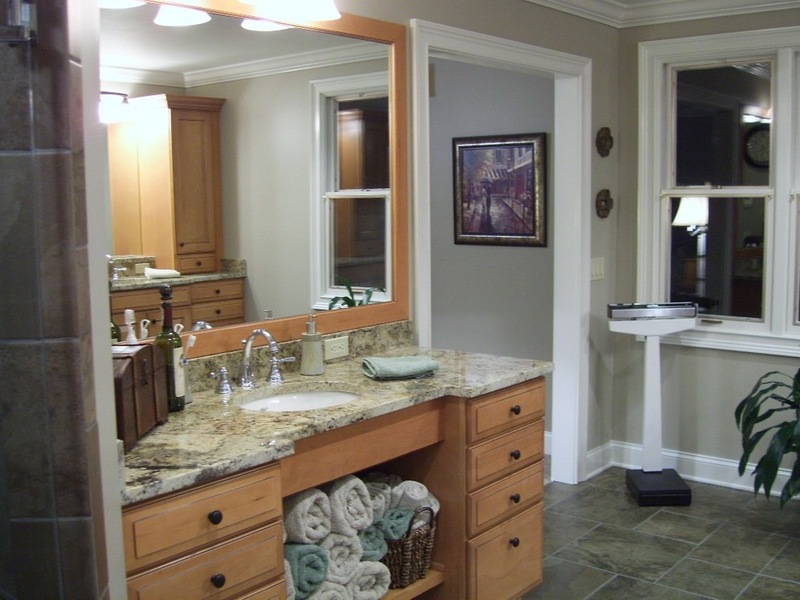 The lighting and electrical service for the room was updated as part of this remodel project. 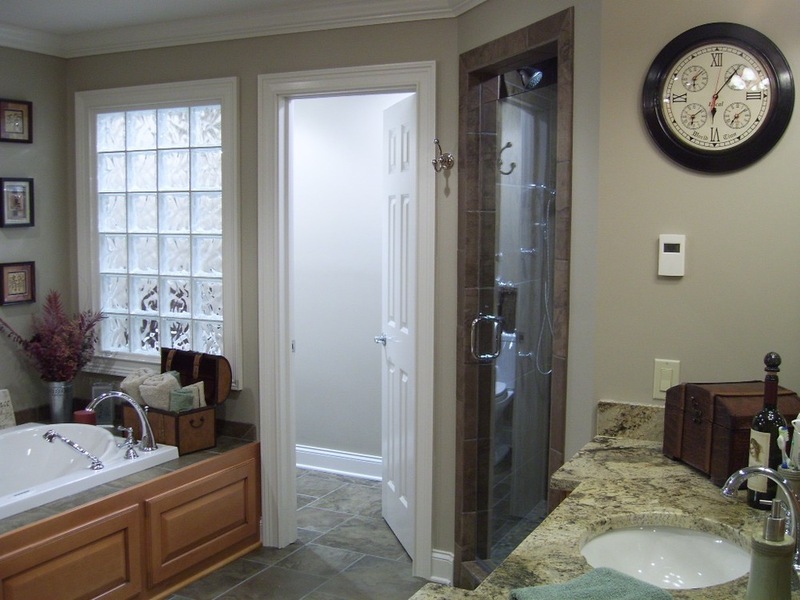 Deluxe moldings were added to complete the look of the classic master bath. 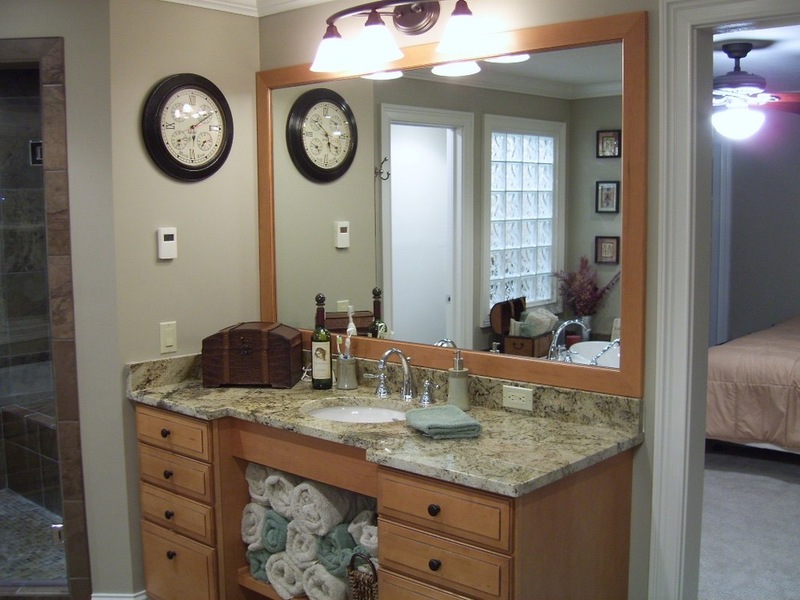 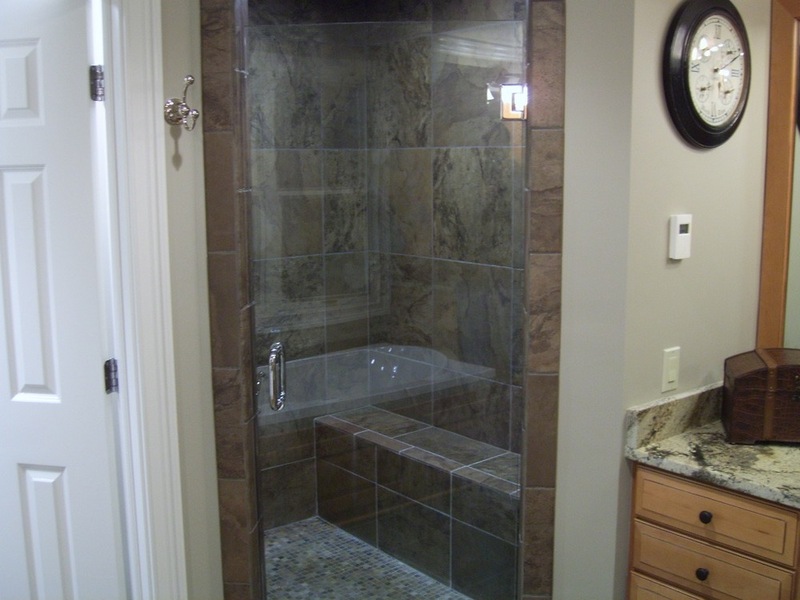 Call Rick Childs, the owner of R. C. Carpentry to discuss your bath project at 440-257-1276.